Growing up, Truman student Mia Pohlman always wanted to be a teacher. Her experiences in high school and college, working with children and teenagers, strengthened her passion for the field. Although lesson plans and classrooms are traditional parts of the job, the Fulbright program has given Pohlman the opportunity to experience teaching in an unconventional setting. 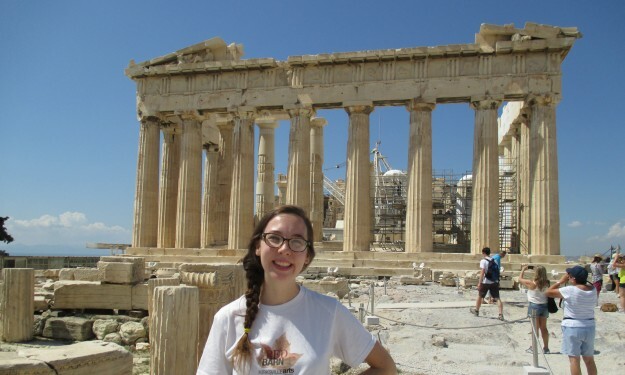 Pohlman applied for the HAEF/Fulbright program in Greece her senior year at Truman. The program seemed a perfect fit, aligning with her teaching and living abroad expectations. Currently a teaching fellow at Athens College Junior High in Athens, Greece, Pohlman educates middle school children about short stories and writing. She preps lesson plans and teaches independently of other teachers in the school. In her free time, Pohlman works with the school’s speech, debate and theater team and takes classes twice a week to learn Greek. The junior high school is one of the most prestigious schools in Greece, enrolling children of celebrities and politicians. Nevertheless, Pohlman isn’t overwhelmed by their wealth or social status. Her affection for her students has even caused her to reconsider her teaching path. Originally from Perryville, Mo., Pohlman came to Truman for its five-year master’s teaching program, student community and affordable price. In May 2014, she graduated with her bachelor’s degree in English with a concentration in writing and minors in both photography and African/African-American studies. 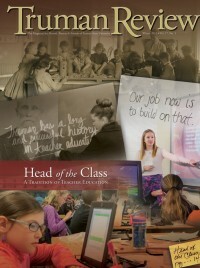 During her senior year, Pohlman showcased her creative skills when she presented her photography and poetry project at the National Conference on Undergraduate Research in Lexington, Ky. As an undergraduate, she was also involved with the Catholic Newman Center, a Kirksville High School youth group and Detours magazine. When Pohlman returns to Truman in the fall, she will be working on not one, but two master’s degrees. In addition to a Master of Arts in Education, she will also pursue a Master of Arts in English and will work as a graduate teaching assistant. She will be responsible for teaching Writing as Critical Thinking to incoming freshman. Pohlman is excited to translate her Fulbright experience to her new role. In the future Pohlman aspires to teach English in a public school, but for now, she is enjoying the laid-back pace of life in Greece. 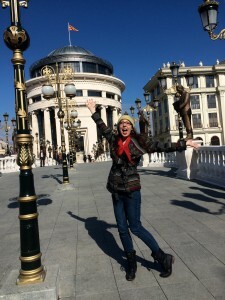 The Fulbright program may not have been the most common way to gain real-world experience, but Pohlman has adapted to the daily rhythm of her foreign setting. “There have definitely been challenging moments in my time here so far, but I’m realizing that these moments are always followed by beautiful ones,” Pohlman said.